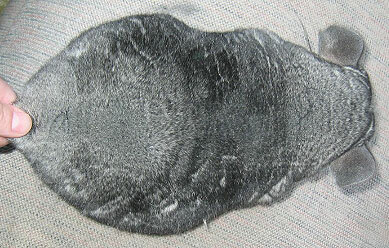 This is a chinchilla pushing out old fur while growing in new. This can appear suddenly overnight. 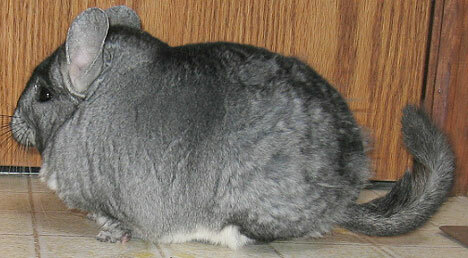 Chinchillas prime for the first time between 6 and 12 months then around every six months after. You can check for prime by blowing into the fur and looking for a bar - if the chin is in a perfect state of prime you will only see one bar. If the chin is out of prime, you will see the new short fur (and bar) coming in - as well as the chin tends to have a more 'choppy' look. 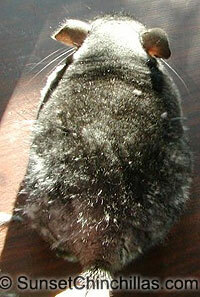 Chins will also ‘blow’ fur during this time – it is normal and you will see it happen with more densely furred chins. You can comb them, use a sticky lint roller or pull the lose fur out with your fingers.